If it was Wiig and Hader's aim to show the breadth of their range, mission accomplished. There’s an indelible spark that exists between actors who trust each other fully. Through 9 years of making millions pop with laughter together on Saturday Night Live, Kristen Wiig and Bill Hader have developed a rare rapport few other on-screen pairings can touch. With the legendary variety show now in the rear view mirror, the duo hope to ditch the silly sketch costumes, expand their repertoire, and evolve as actors. 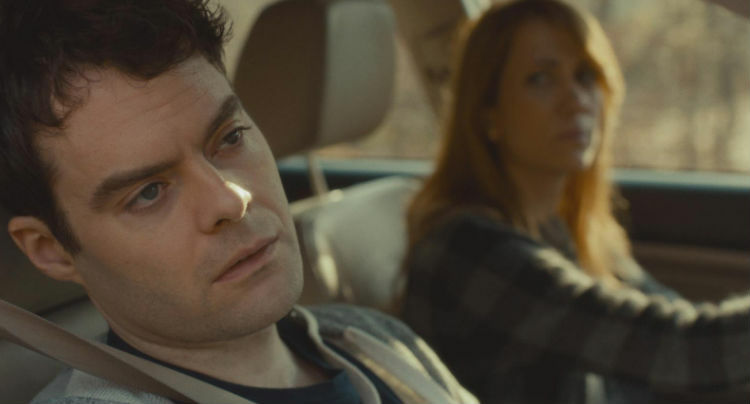 Wiig’s already gotten a head-start with Hateship Loveship and Bridesmaids (to a lesser extent), but Hader is taking his first stab at dramatic acting with The Skeleton Twins. Lucky for him, he’s got his old partner-in-crime to ease him into the brave new world of the un-hammy. Hader’s luck is doubled by the film’s writer-director, Craig Johnson, who sets he and the rest of the cast up for success. The smartly written material (co-penned by Mark Heyman) is optimized to challenge Wiig and Hader with emotionally charged dialogue while utilizing their comedic gifts whenever levity or tonal contrast is appropriate. Johnson creates the perfect environment for his actors to excel, and they do; Wiig steps up, Hader steps up, and the result is a fine picture that makes all parties involved look good. Wiig plays Maggie, a dental assistant living in Nyack, N.Y. who’s so dissatisfied with her marriage to her husband (Luke Wilson) that when we meet her she’s in a bathroom with a fistful of pills, seconds away from ending it all. Suddenly, a phone call. 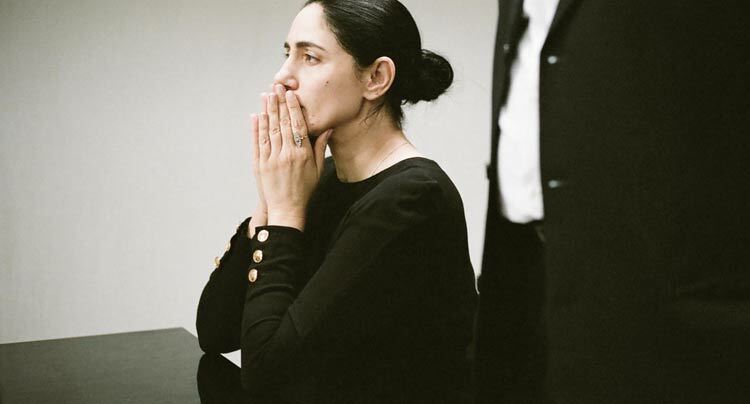 Her twin brother Milo (Hader), a struggling actor in L.A. whom she hasn’t spoken to in 10 years, has narrowly survived his own suicide attempt, his slit wrists being mended by hospital staffers. Maggie insists her brother leave L.A. and stay with her in upstate New York where they grew up to rehabilitate and hopefully reconnect. Death and happenstance bring the estranged siblings together, and suddenly the film’s title clicks into place. Just in case we didn’t get the message, we’re shown a fuzzy flashback of their late father (he took his own life) dangling Mexican skeleton toys in front of them when they were kids. It’s straightforward symbolism for sure, but it does the job and the image sticks. Aside from his sister and her bubbling marital anxiety, waiting for Milo back home is some serious baggage in the form of his old English teacher Rich (Ty Burrell), who seduced him back in high school. When Milo visits his former educator at the bookstore he works at now, Rich goes pale; his worst nightmare just walked through the door. He’s got a wife and a 16-year-old son now, but it’s clear he’s still got a deep affection for Milo. Hader and Burrell’s exchanges are at once tender and crushing, and it’s in these scenes that Hader reveals the depth of his abilities as an actor. Meanwhile, Maggie’s got her own demons to reckon with. She begins to hate herself all over again as she gives in to the advances of her young diving instructor (Boyd Holbrook), her latest affair (of which there have been many). But the real romance here is between the siblings themselves, strange as it sounds. Incestuous the film is not, but when we see Maggie and Milo (dressed in drag for Halloween) slow dancing and holding each other in a deep embrace; or when we see them lock eyes blissfully as they lip-synch Starship’s “Nothing’s Gonna Stop Us Now” (they sing the entire song, and it’s hilarious and sweet); or when they get high on laughing gas together at the dentist’s office and lay on the floor, heads touching, it’s clear that this is a love story about soul mates, albeit an unconventional one. This peculiarity is to the film’s benefit. Like in any good love story, Maggie and Milo go through periods of disdain for one another, exacerbated by the fact that they know precisely how to hurt each other worst (it’s a twin thing). These moments of conflict cut deep and, like Hader’s scenes with Burrell, are heartbreaking because they’re given time to breathe and bloom, to the credit of Johnson and his crew. If it was Wiig and Hader’s aim to show the breadth of their range, mission accomplished. Wildly entertaining as they are, the incidental bursts of sibling bonding (Starship, laughing gas) feel somewhat obligatory considering the leads’ reputations as broad comics, though “shoehorned” is a word that never comes to mind. The true value of the film exists in the subtle push-and-pull dynamics of the more restrained, weightier exchanges. Structurally, Johnson and Heyman lean on rom-com conventions too often, with plot developments feeling too orderly and neat. It’s a little too easy to stay one step ahead of the story, which doesn’t reflect the spontaneity of the performances. It’ll be interesting to see if Hader and Wiig continue to team up for movies, if only to see their partnership blossom and mature over the years. Perhaps one day they’ll be two of the industries premiere dramatic actors, collecting Oscars left and right, and we’ll look back on The Skeleton Twins as a watershed moment in their careers. They show enough potential here that the idea isn’t entirely wacky. But for now, the film is just fine as an amusing, unexpectedly poignant take on the inextricable link shared by twins (miserable ones, to be exact).